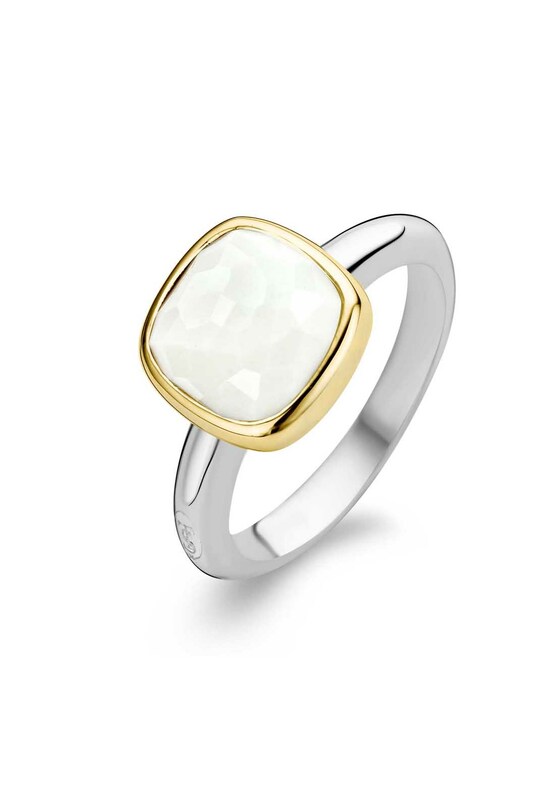 A versatile ring by Ti Sento which would look great with casual wear or an occasion piece. 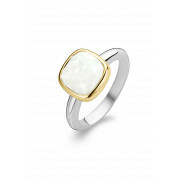 The white cubic zirconia stone has a gold plated surround while the band is made from sterling silver. Stone Dimensions: 10mm X 10mm approx.